Nike AeroBill technology combines breathability with sweat-wicking comfort. 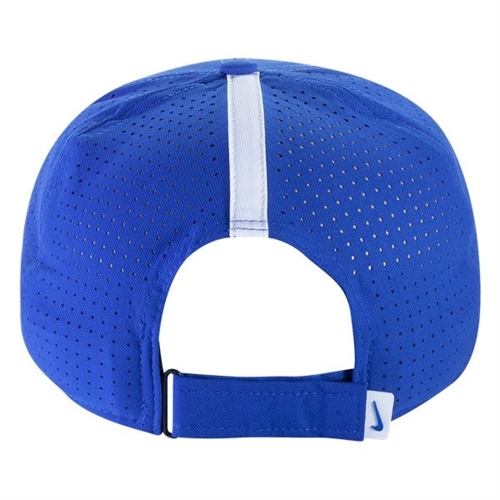 Pull-tab closure on the back provides an adjustable fit. Club crest and colors show team pride. Laser-perforated panels at the back and sides enhance ventilation. 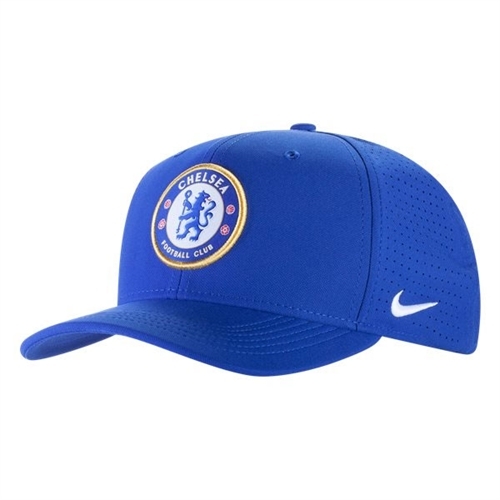 Our Nike AeroBill Chelsea FC Classic99 Cap combines sweat-wicking technology and laser-perforated panels to help keep you cool and comfortable while showing off your club pride.